No Mercy. Leg sweep. Take him out. 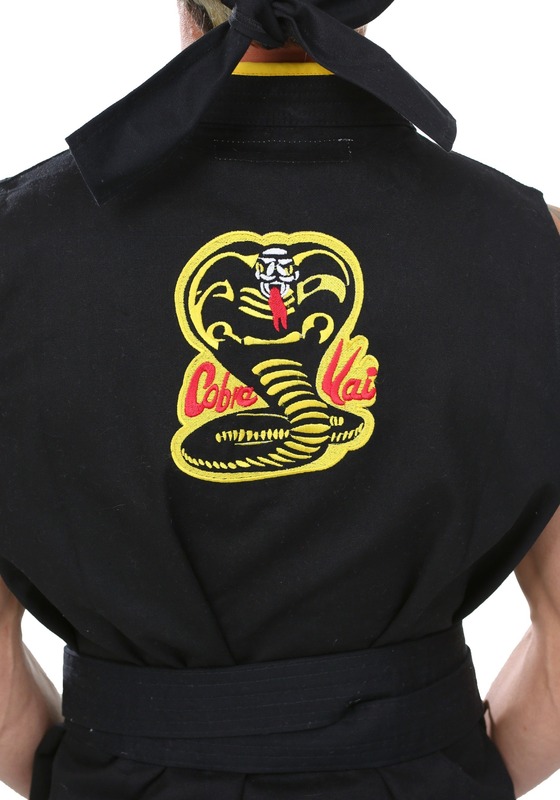 You know what the Cobra Kai are all about. Now show that you belong in the dojo of Sensei Kreese with this exclusive Super Elite Cobra Kai Costume! 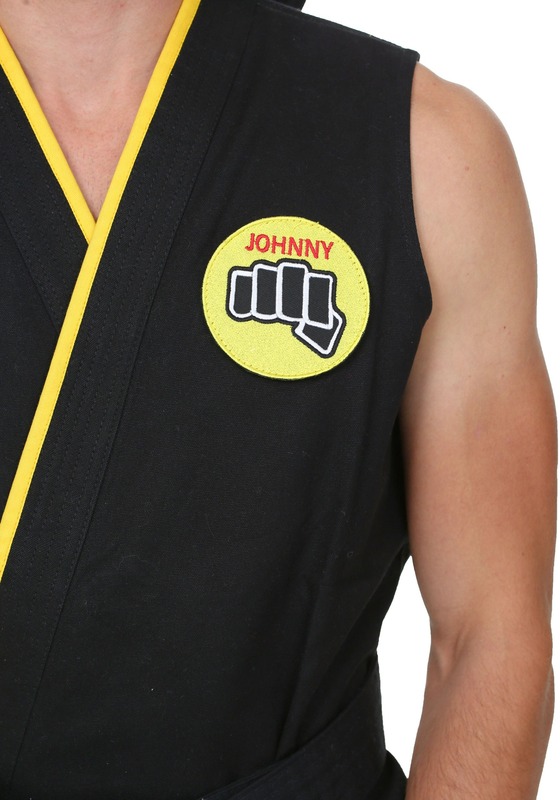 With authentic movie details and real patches, you'll have the Karate Kid screen look to play the part of Johnny Lawrence. What will you do when you step into his shoes? 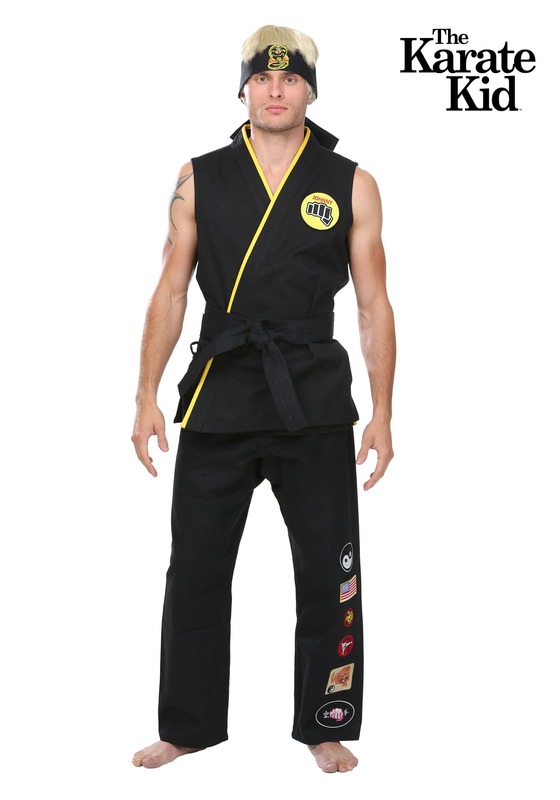 Will you face off against Daniel LaRusso in a fair fight? 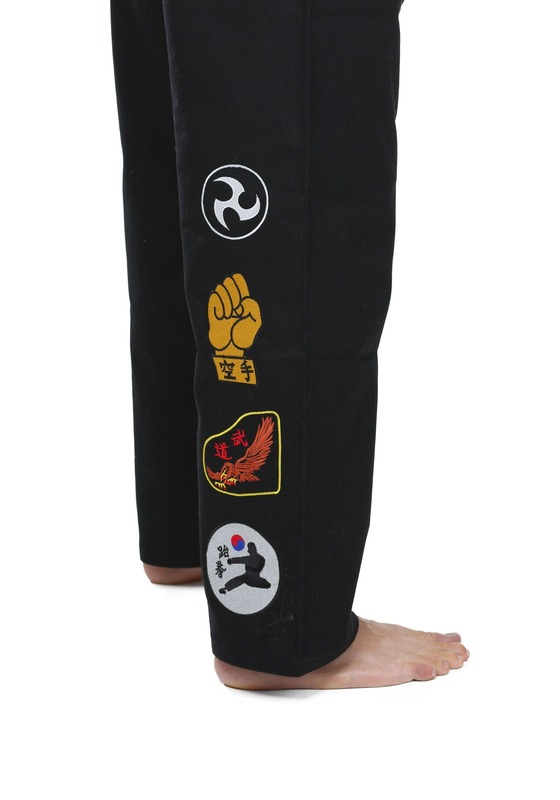 Or will you resort to the underhanded ways of your sensei? Whichever path you choose, you'll have the movie authentic look to do it with style. Very detailed and as close to screen accurate as possible! Fits great. 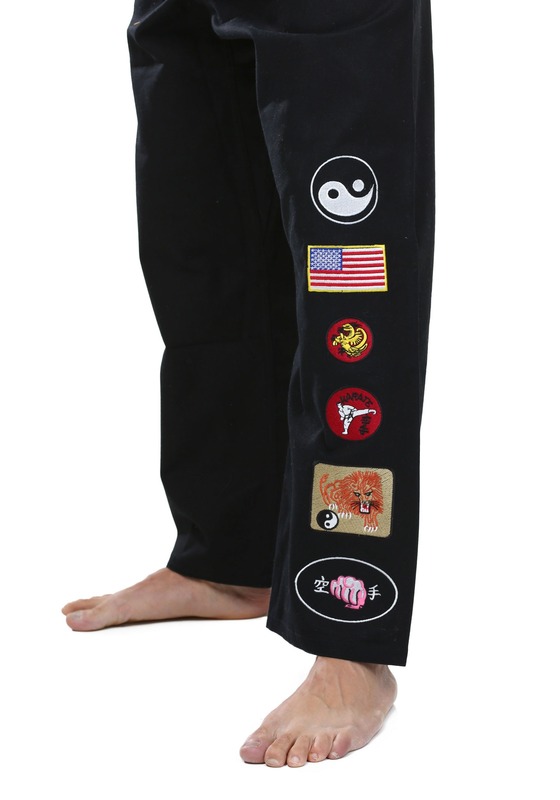 If you're a Karate Kid fan...this is a must.